A great 'ol fashion' street dance ... excellent music, great food & drink, good company! At the annual street dance in the city of Santa Clara (CA). Thank you with your interest! Take Tech Company Pics for you! Pictures, communicate, engage. This is what small businesses want to do. Let's work together to help and collaborate with each other. .
Click on image to buy this "Best Unusual Tour Career" book! 1. "Tips for traveling with motor coach group tour vacations"
2. "3 Places To Stray Away From The Crowds In San Francisco Bay Area"
3. 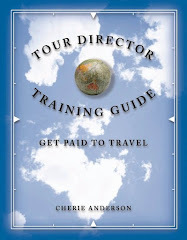 "Tips about the qualifications of travel professionals selling travel which you may trust"